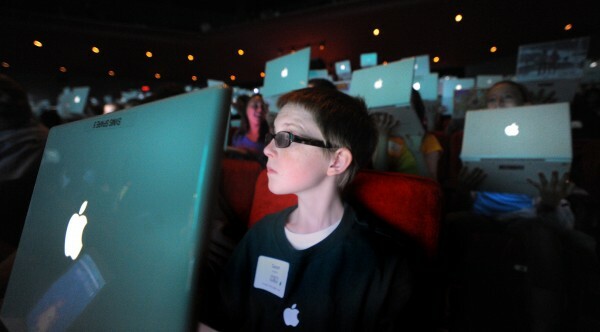 Sean Doughty, 13, of the Sacopee Valley Middle School in Hiram sits with his Apple laptop in 2012. 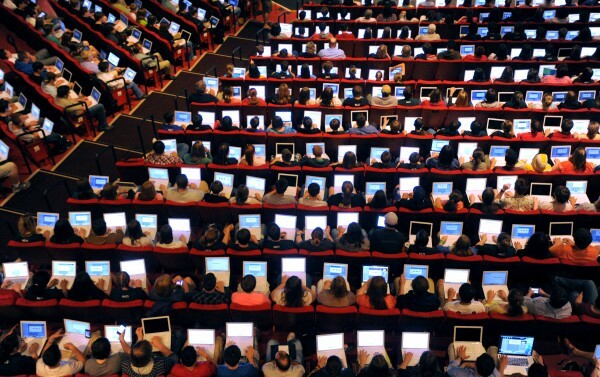 Students will start using Hewlett Packard computers beginning in the fall of 2013. About 1,000 students participated in the 9th annual Maine Learning Technology Initiative Student Conference at the University of Maine in Orono on Thursday, May 24, 2012. 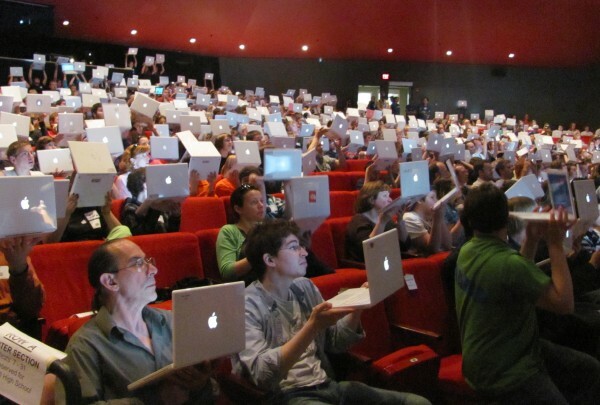 Hundreds of Maine students hold up the Apple laptops they got as part of the Maine Learning Technology Initiative. Students will start using Hewlett Packard computers beginning in the fall of 2013. AUGUSTA, Maine – Thousands of Maine students will be firing up Hewlett Packard laptop computers when school starts this fall, the governor’s office announced Saturday. The Maine Department of Education announced Friday that Hewlett Packard was awarded the contract in the Maine Learning Technology Initiative’s latest bid process, according to a press release. 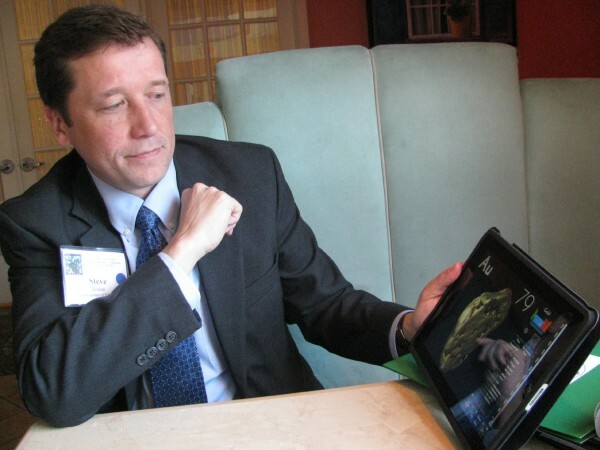 The Maine Learning Technology Initiative is an integral part of the department’s strategy to achieve the new Common Core State Standards, as well as implement new proficiency-based learning systems, according to Education Commissioner Stephen Bowen. While the Hewlett Packard laptop proposal is the state’s primary solution, LePage said in the release that middle schools would be able to choose any of the five proposals awarded through a competitive bidding process and the state would cover the cost up to the amount of the HP proposal. At the high school level, where districts pay for the devices themselves with the support of state targeted technology funds, the state will leverage its buying power to get the lowest price possible on any of the solutions.